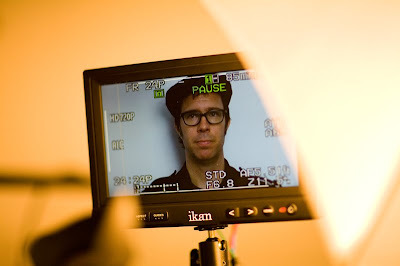 We interviewed Ben Folds last night for our documentary! It was really exciting for Matty and I because we made our first ever music video together to one of his songs. i loved the video. that was adorable. his music is beautiful. loved what you did with the video. The love and emotion shines freely in this video. What did he think about the video? Wonderful! What a beautiful song and your interpretation is precious. ...aaaaand then I started crying. That video was so lovely. love ben folds. He's from North Carolina you know. Sweet. I LOVE that song. That is so romantic. I hope you don't mind if I feature it on my blog. I'll credit you, of course. I miss my boyfriend now, but that was an incredibly sweet video for an amazingly sweet song. :) beautiful, lovely, simple, emotional. fantastic! Lovely video. Thank you for sharing it and making my day better. AH! incredible! i love him. Ah! I love Ben Folds! And the video was simply adorable. How exciting to interview Ben! My guy & I just re-discovered his cd in our collection on a drive this week. Such amazing music. AW. That is an adorable video! And I LOVE Ben Folds. Musical genius. This video is rad!!!!! Im so siked. The song is dope too!!!! ah... tiara loves Ben folds, he's a genius! And Tiara loves 'the luckiest' too, the song is awesome. And Tiara loves Katie and Matty, they're one of the cutest couple Tiara had ever seen. So Tiara simply loves this blog too much! I was just singing 'You Don't Know Me' when I checked your blog. ahaha Ben Folds is a god. I love him. super sweet Katie! Lucky guy! You are absolutely beautiful, and you and matty are extremely beautiful together, and the video was full of emotion and it was just nice. the luckiest is one of my favorite love songs ever! It always gives me goosebumps. The music video is adorable. I've always thought that was such a sweet song. Aaaaaand I love your blog. A lot. That's the sweetest video! You two make a fun pair. i think all criticals are way over the result. 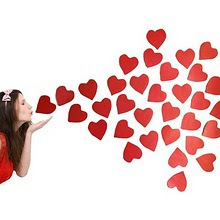 i am sorry, i love your photos and your sweet way of seeing the world! But i think you could have done better in this video! There is no story or even a fluid random choice of images. Ok, love is a good choice to give images to the song, but there's no visual surprise. Or even the romantic unespected cenary.. i wouldn't chose this video as videoclip for the song! but i would chose you guys as interpreters ! You are both beautiful and lovely! I would like to make a video with both of you! sorry my english , but i bet you don't speak my language ( Português) ! i think you may be one of the nicest, most sweetest people in the blogosphere. your blog makes me smile!! you lucky girl, i love be folds! have been to two of his concerts in london. brilliant stuff! Simple and effective, this is lovely. I love Ben Folds and he must be blessed by your sweet little video. And I believe it. I believe your music video, your story. Well done. You made my morning happy! That video was just lovely! Made me miss my boyfriend so much though. I had never heard Ben Fold's music before. This song is very beautiful. You and Matty so young and lovely. Thanks for making me smile. That's one of my favorite songs. My favorite part of the video was when you guys were kissing and Matty looks over at the camera so smugly just as the "I am the luckiest" part of the song plays. I love the video you made. I love your blog. You make life more colorful. ditto... love your videos and blog. you inspire me. daily. thank you!